Sometimes after a home inspection has been completed we will get a phone call from a new buyer of the place (the first buyer did not buy the home) wanting information about the home. They sometimes will have a copy of the first buyers home inspection report. Some of these buyers think home inspection companies have an obligation to share the report and information with them. This is totally wrong. An inspection is a report of the conditions on the home at the time of the inspection. Conditions change and there is definitely no certainty that the home will be in the same condition. Conditions change due to repairs, more damage being done by owners or tenants, weather and storms, floods, animals and of course kids can all have a hand in changing the condition of a home. A great example of this is your car. It can work great one day and then not start the very next. Things and conditions change. Radon levels in a home also vary and change due to home conditions and weather. 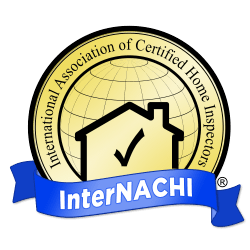 Home inspections and the agreements are made via contracts/agreements between the home inspection company and the client/buyer. No one has a right to the report beyond what is agreed upon in the agreement. There definitely is no legal obligation at all. Sometimes the report is printed off and shared with new buyers of places. There are reasons that these new buyers should not rely on the former home buyers report. These reasons are more than just that conditions likely changed. We can as many other inspection companies may do is offer to inspect the same home again and this time at a discounted rate. Once we had a client that wanted us to reinspect an area or two of a home we previously inspected. We agreed. Then a day or so before the inspection she began demanding that we tell her everything about all areas of the home and tried to tell us we are legally obligated to tell us about the home that a private citizen owns from a report that she did not even pay for. She was obviously going to be high maintenance client so we cancelled our partial inspection and the radon testing she asked we do. Not every client is worth having, especially when they try to demand what they are not entitled to.